We've been eating all local-grown-food meals for dinner this week. 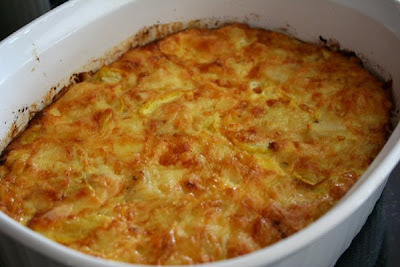 Last night was this frittata with eggs, raw cheese and potatoes from a local farmer and squash from our backyard garden. Even though it's 88 degrees out, she's wearing her new wool hat, with a tanktop and bare feet, of course. My time at the institute was spent doing more than just felting. I spent way too much time (and money) at the bookstore. 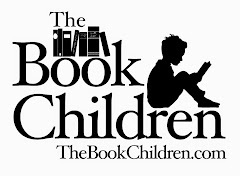 I've been most immersed in The Children's Year this week. Why did it take me so long to buy this book? I'm thinking a gnome hat is in the works for Finn this fall. 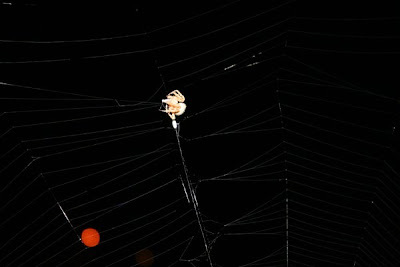 and spins a giant web blocking our front door every night. We have our very own Charlotte. 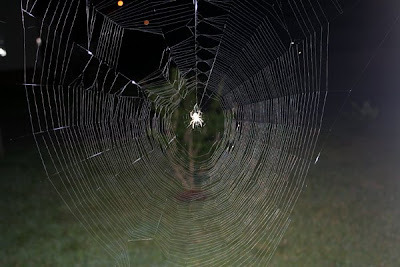 The web only stays from about 10 pm until dawn. 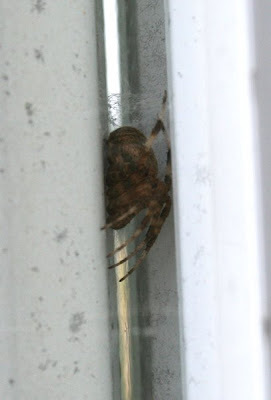 Then he wraps things up and takes cover for the day. He's very considerate that way. Your frittata looks mouth watering! Can you link or post a recipe? We also LOVE our raw cheese source. nothing better! Oh that frittata looks scrumptous! 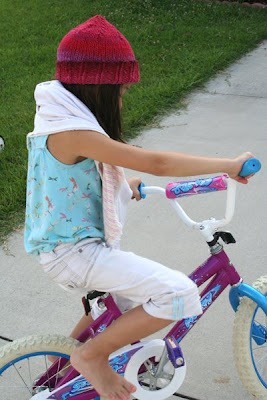 My little girl has that same bike too, with training wheels of course...lol. 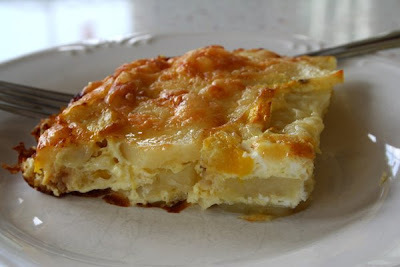 I was going to ask you to pleeeease post your frittata recipe, then I saw you did in your comments. Oh my gosh, it looks delish. I am going to make that next week! Thank you for my Sunday night dinner idea! It looks tasty...and healthy too. The new hat you knitted for you little one is lovely, the colours are beautiful. I LOVE the Children's Year and I also want to knit the gnome hat out of there for Kye, I think it will be beautiful. Let me know when you start and we can make it a project across continents. The frittata looks so yummy! 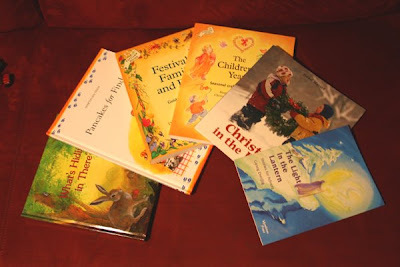 And we love the books about Findus!